Do you hold a position within the healthcare sector? Are you looking to diversify your knowledge and understanding? If so, make you sure you attend our care home events in London 2017. 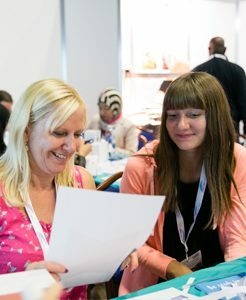 Taking place at the Diomed Suite at Epsom Downs Racecourse on the 14th November, these events are an invaluable source of helpful learning tools. To find out more or to register your interest call us now on 01425 838393. If you work in the healthcare industry, you have no doubt faced many challenges on a daily basis. Staying immersed and keeping your finger on the pulse is the best way to succeed. With our care home events in London 2017, this process has never been easier. These annual events are the perfect opportunity to engage with like-minded people and to learn more about the sector. By the time you leave us, you’ll have a significantly better understanding and the tools that you need to succeed. To learn more about what our London care home events have to offer, read on below. What can you expect from our Care Roadshows? Here at our care home events in London 2017, you’ll discover everything you need to support and develop your career. For starters, we have some fantastic workshops and seminars taking place throughout the day which are all FREE to attend. These are a great way to learn about new products, services and techniques. Plus, all attendees of our seminars will receive CPD certificates. Click here to see our seminar programme. As well as services, we have a large array of care suppliers being featured throughout our care home events London showcase. While you browse, get the latest scoop from the industry experts and take the opportunity to try out each product before you buy. You’ll also discover that we have exclusive show deals and special offers for those who attend our Care Roadshows. Attending our care home events in London 2017, are an impressive number of exhibitors covering all areas of healthcare. From training and recruitment to suppliers, you’ll have plenty of opportunities to rub shoulders with some of the industry’s leading experts. Among our attendees are exhibitors that include Lifestyle & Mobility, MED e-care, Aid Call and our headline sponsor – Quality Compliance Systems Ltd. To see the full list, click here. We want our Care Roadshows to be the best care home events London has to offer. So when you attend our event, you will automatically find yourself entered into our prize draw! Scheduled to take place at 2.30pm, one lucky winner will be in with a chance of winning £100! All you need to do is ensure that you’re present to claim the prize. So, if you’re looking to improve your knowledge, learn new skills, generate inspirational ideas and discover the latest products, you know what you have to do. Get in touch with the Care Roadshows team today to find out more about our exciting care home events in London 2017. When you’re looking for London care home events, there is only one name that you need to remember – Care Roadshows. Owned and organised by Broadway Events, these incredible events promise an exceptional blend of fun and learning. Whether you’re rolling up your sleeves for our interactive workshops or taking in one of our seminars, you won’t be disappointed. At Broadway Events, we take a professional and friendly approach. Our care home events in London 2017 provide a relaxed atmosphere that combines our passion and creativity for putting together first-class events. From venue liaising and support to onsite management, we take care of everything to make certain that our London care home events go off without a hitch. As a result of this dedication to what we do, our Care Roadshows were named Exhibition News Awards Finalists in 2011, 2012 and 2015. We were also officially commended in 2016. This has led to us amassing an enviable reputation across the industry in which we are regarded as the leading choice for care homes in London 2017. 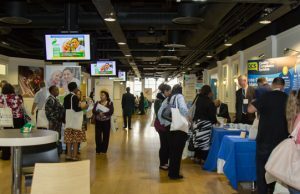 If you’re searching for sponsorship opportunities or are interested in exhibiting at our care homes events in London, click here. Register your interest today in our care home events in London 2017 by clicking on the following link or calling us on 01425 838393.